If you are a prospective or transfer student to any of the site’s contributing colleges, you can get an idea of the kind of academic research they’re doing. (Look for the “Browse By School” drop-down menu at right.) That research may or may not impact you directly while you’re on campus, but it’s illuminating nonetheless. If you’re faced with a research paper assignment, you can find good topic ideas on the site. 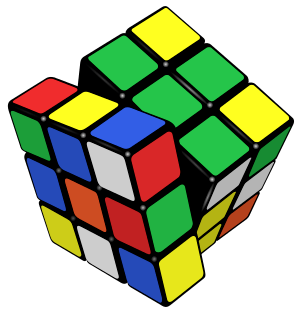 Some students freeze when they’re given free rein to choose their own topics, and this would be a helpful browsing site in the “exploratory” beginning stage of research. Scroll down to “popular tags” or just browse around amongst the categories tabbed at the top of the site. Whether or not you’re formally a student, if you consider yourself a lifelong learner, read the site for knowledge’s sake! It’s updated frequently, and you’re bound to find something of interest for discussion, sharing, or simply your own edification. In honor of the Grain Moon (today’s full moon), fix your star-gazing eyes on these wonderful astronomy websites. Offering truly awesome images from space plus a variety of multimedia and reading material, these sites are bound to get you excited about the sky! 1) What a site for a web-landing! Spend some time exploring: you’ll find NASA TV, videos, speeches, podcasts, space pics, interactive features, and a section for students (K-12 through Higher Education). 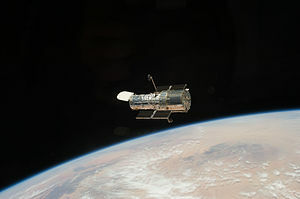 2) The Hubble Telescope has its own website. Lots of goodies here, including directions for making your own little Hubble scale model. Check out the fascinating tutorial on Dark Energy (under the Hubble Discoveries tab). 3) The companion website to Astronomy magazine. Some content is subscriber-only, but in browsing around, you’ll find interesting free material, such as News & Observing/Astronomy News, Astronomy Myths, and The Sky This Week. You can see some videos at Multimedia/Videos, or News & Observing/Intro to the Sky. 4) The Astronomy encyclopedia from Eric Weisstein’s World of Science. Browse around the Alphabetical Index to get an idea of the scope. Impressive as these selections are, the web offers many more treasures in homage to space. Type “observatory” or “planetarium” into a search engine; you might find a local site for further exploration – in person!